Late post: What should I focus on in 2016? Ok so I draw the Laziness card. Such an ironic word in my life. I’ve never been lazy in my entire life and even when I got sick in 1993 I still never behaved myself as a lazy person even though I have to rest quite a big part of the days since then. The thing is my brain kept on going, it keeps on going being creative, inventive and searched for solutions in all his facets. Every day I manage to get out of bed as early as seven o’clock and my dictionary doesn’t even recognize the word ‘rising late’. My big challenge in life is tempering my everlasting overactiveness into exactly laziness. So in my case of this particular card I have to force myself to be more lazy unfortunately. 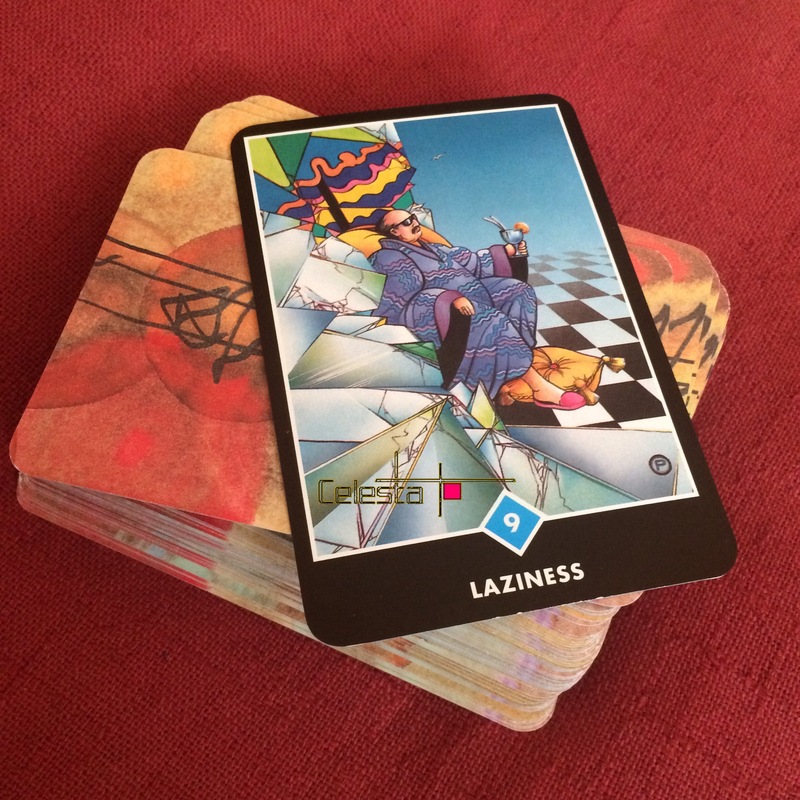 The ‘laziness’ card from the Osho deck though can also mean that the way of my being doesn’t have to be always this way. It is never an end station and when you remain positive you can always move on. There will come a time when I will find the solution to conduct my body to be as energetic as it was before the delivery of my daughter in 1993.